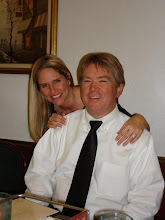 My dear husband has made the simple request that I update and keep our blog going. I feel a little self conscious about this, basically because I have such incredible writers in my family and alas, I'm not one of them. For the sake of a little history keeping I will comply with his wishes. We are leaving on a softball trip tomorrow, but upon our return, I plan to catch up the last few years.... and they've been full. Just thought I'd write a simple note of intention and see if I could even open the blog after all this time. It's amazing how you plan and plan for something and then it's over in the blink of an eye. So it was with Stake Relief Society Women's Conference. I know the Lord blesses you when you try. I had a great committee and I think the women had an enjoyable and enlightening conference. It was darling....if I do say so myself. My baby boy would have been 30 this month and that is super hard to believe. Whitney graduated from the Quest self discovery program. Great accomplishment. Easter at the end of March always seems odd, but always fun. I love the Savior and am so grateful for the gospel and my amazing family. February continues on with Whitney healing, my mom having a knee replacement and me having all sorts of fun medical visits including new braces.... what was I thinking?? On a bright note, Haley Packer has left for the Madagascar Mission. Justin Packer has his mission call to Long Beach, CA Spanish speaking and Steph and Nick Haertel are tearing up the mission fields in their respective areas. Lori's in-laws, Phil & Lu Truman also headed out to their mission in CA. Our friends Linda and Ray Coats have a call to Washington State, our friends, the Salmons are awaiting a call, as is Logan Packer. My cousin's son, Job Welling, is serving here in Idaho and we were able to take him to lunch. It was wonderful. The month ended on a great note..... Whitney passed her final, college math class with a B+ (thanks for the help Ryan and way to go lil Duckie)!!! Finally, on February 28th, new grand baby, Khloe Moyes Miller, was born. Here comes March and I'm certainly ready for Spring! JANUARY 2013... Happy New Year! I've been lucky to post monthly, but continue to try as part of my journaling effort... smile... Now that we're into March, I'm happy to say that January (my least favorite month) breezed by fairly quickly. Terry went pheasant hunting in North Dakota the first week of the month and I had a week of relaxing. Lots of work going into the Stake RS Women's Conference...should be amazing....I have a fabulous committee and fun, creative women to work with. The month literally ended with a bang and not a good one.... Whitney got caught in a freak Utah ice storm and totaled her car, broke her hand, ankle, ribs and banged up her poor head. She is very lucky to be alive and is a commercial for to WEAR YOUR SEAT BELT! After a few days of being stuck here in Idaho due to weather and visibility, I finally got to my little girl and was able to stay and care for her for two weeks. I'm so grateful she is healing and though she was hurt, I loved spending time together. It was good to be at my parents and have family popping in and out. Her work was very gracious and let us stay the second week at the Homestead so she didn't have to travel going to and from work and they even sent a singing, Elvis telegram to cheer her up. Funny thing was she had just returned to college after a couple year break and had been to one algebra class (after 10 yrs. of no math)...she's continuing on....very brave...good luck. What a wonderful month. Always too many activities to mention, but lots of great family time and holiday festivities. Happy Anniversary - 6 yrs. New stake RS calling....What's all the buzz about?